We do Jenn-Air appliance repair and maintenance in your area. That includes all models of Jenn-Air cooktops, dishwashers, microwaves, refrigerators and much more. If your appliance is broken, give us a call, and we will schedule an appointment for you right away. We know how frustrating it can be to have a broken dishwasher or refrigerator, and we try to come out to you as soon as possible. Our technicians are all factory trained and certified. They know everything there is not know about Jenn-Air both old and new models. They are up to date on all the technical innovations that Jenn-Air comes up with. We work fast and do a good job because we have a lot of experience and knowledge. Jenn-Air has the highest standards of manufacturing when it comes to kitchen appliances. They are both beautiful, highly functional technologically advanced. For example, their convection wall oven offers V2™ vertical dual-fan convection system and Wi-Fi connection to your smartphone or the gas cooktop has Flame-Sensing™ Re-ignition. With all this new technology available you need a professional to do maintenance or repairs on your Jenn-Air appliances. We are such professionals. Our technicians will inspect your Jenn-Air appliance and quirky find the problem. We will order Jenn-Air parts your appliance requires. Then we will professionally install them. Before you know it you broken appliance we be back to normal. Apart from offering you our skills and knowledge we also have some of the best customer services in the industry. Our technicians are not only highly skilled they are always polite and respectful. They will answer any questions you might have and give you useful advice. We offer you a flexible scheduling with appointments available even on the weekend or after hours. Our company offers you a accurate estimate and FREE service call with every repair job. And of course, you get a full year warranty on all the parts we install for you. With us, you can be sure that your Jenn-Air appliance is in good hands. Our company Top Home Appliance Repair has been in business for more than 30 years. We have been repairing all brands, makes, and models of kitchen and laundry appliances. In particular, we specialize in luxury brands such as Jenn-Air. Our company is family owned, and family run with service area spending from Los Angeles, Ventura County, Marin County and East Bay. 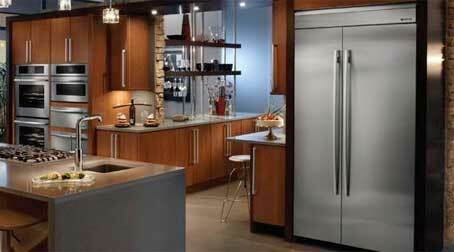 We do both residential appliance repair and commercial appliance repair. There is absolutely nothing that we can not fix as long as we get parts for it. The list of appliances we repair includes refrigerators, dishwashers, washers, dryers, stoves and ranges, ovens, steam ovens, microwaves, freezers, ice makers, BBQs, pizza ovens, patio heaters and much more. If you need a professional, honest appliance repair team give us a call! Once you contact us, we will schedule a convenient appointment for you. Our technician will get as much information about your Jenn-Air appliance as possible. He will preorder the parts if it’s possible. When the parts arrive he will head to your house bringing all the tools, equipment and parts with him. As soon as he gets there, our technician will start working on your broken appliance. He will quickly diagnose it and come up with the best plan of action. Usually, it involves making the repairs and changing parts. We work fast because we know what we are doing. After the job is done, we will clean up after ourselves and dispose of all the old parts. Then we will connect your appliance and run it to test how functional it is and if it is safe. Safety is always our concern when it comes to gas and electrical appliances. Only after we are sure your appliance is working great will we hand it over to you. You will be happily surprised by our results. Your Jenn-Air will be as good as new. Our technician will also give you some advice on how best keep your appliance in great shape for the future. 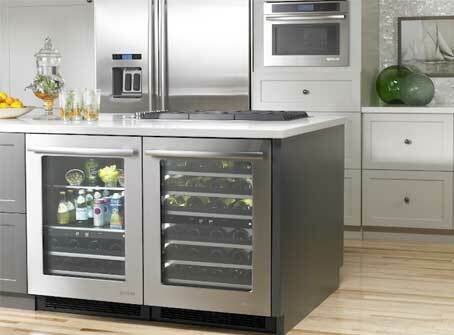 Top Home Appliance Repair also offers annual or bi-annual maintenance program to our customers. It covers all appliances in your kitchen and laundry. As a part of this program, our technicians will do all the maintenance for you on a regular basis. They will inspect your appliances every time and catch any problems before they become significant. This maintenance service will save you time and money. You can trust us to do Jenn-Air appliance repair for you simply because we have the skills and experience in this particular brands. We have been doing this for more than 30 years and knew everything about Jenn-Air. Also, as the new technology comes up, our technicians learn everything about it as soon as possible. We are alway son top of technological innovations by Jenn-Air, but we also know how to fix 5 and 10-year-old Jenn-Air products as well. Our technicians are factory trained and certified. They can solve any problem you might have, and they have access to the best tools and equipment required for this. Also, our company will offer you fast and convenient appointments that will not waste your time. We value our customers and will go out of our way to make you happy with our work! For Jenn-Air appliance repair, please call us at 925-265-7782 in East Bay or 628-214-0064 in Marin County. Or you can fill out our short contact form. We would love to talk to you and answer all of your questions. Besides Jenn-Air appliance repair are also certified to repair Asko, Bertazonni, Bosch, Dacor, DCS, Electrolux, Fisher&Paykel, Frigidaire,KitchenAid, La Cornue, LG, Liebherr, Marvel, Miele, Perlick, Samsung, Siemens, Sub-Zero, Thermador, Traulsen, True, Viking, Whirlpool, Wolf. We do Jenn-Air appliance repair and maintenance in your area. That includes all models of Jenn-Air cooktops, dishwashers, microwaves, refrigerators and much more. If your appliance is broken, give us a call, and we will schedule an appointment for you right away.